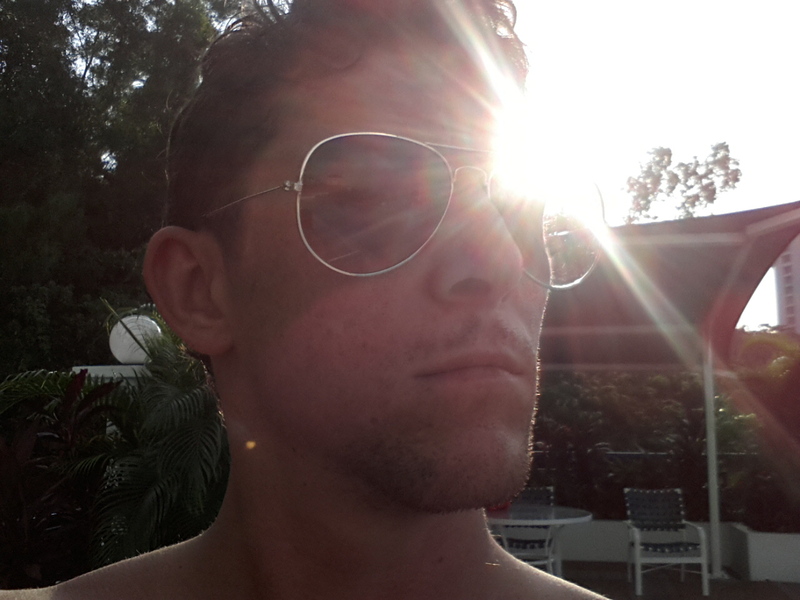 James Springer came to Penang as a sommelier and stayed on. He's currently busy promoting his upcoming first book, "Malaysia's Canvas", an account of George Town's street art rise and crucial inception years. Let's see what this immigrant scrivener has to suggest in terms of places to hang, eat and visit. After spending six years in Penang’s wine scene as a trained Sommelier, I began writing as a full-time career at the start of 2016. 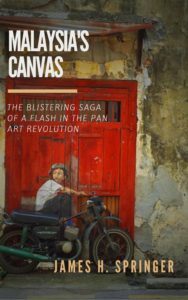 Since then I have been working on my first book, “Malaysia’s Canvas”, the story of George Town’s burgeoning art scene from 2010 to 2016. You can read more and pre-order a copy here. Clichés abound in Penang; ‘style of living’, ‘quality of life’, ‘beautiful people’ and ‘exotic nature’ all check out. 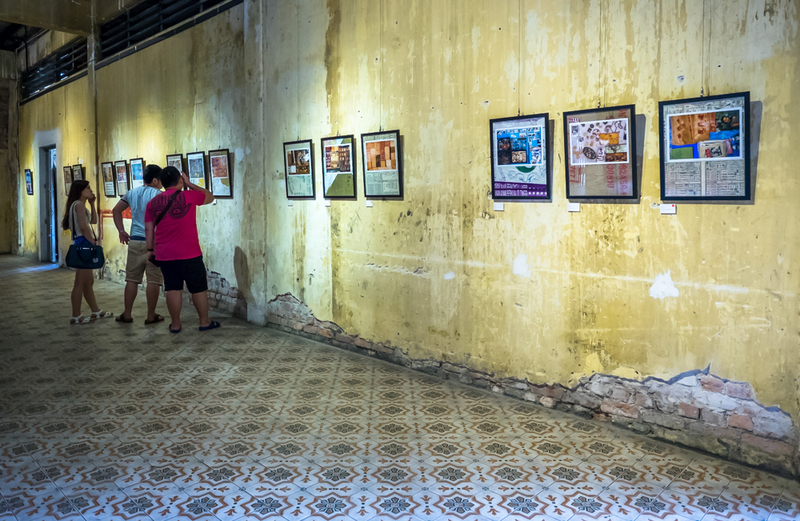 However, for me, Penang’s true attraction over the years has been its drive for change. There are very little places in the world where you can so easily dive into a project that will, more than likely, continue into the future marked with your initial stamp of sweat and creativity. That, above all else, makes Penang exciting for me. Seawind Beach Café – In suburban Tanjung Bungah, there is no place better on the island to relax over a cold beer and watch the sun go down than Seawind. The seating area is raised above the beach and dotted with reclined garden chairs and tables, all shaded under fully-grown hardwood trees. You won’t find a website for it or directions on Google, so here is a hint: it is right next to Sentral Hotel. You’re welcome. Hin Bus Depot – The Hin Bus Depot was a huge motif behind writing “Malaysia’s Canvas”, and has been for all of the artists that have passed through it during the years. As well as attending numerous exhibitions, I have been to all-night parties under neon glow, water sports days celebrating Songkran, and even taken part in their Sunday market. In all, they have weathered the storm of time by constantly being able to come up with something new… and I have every confidence that they will continue doing so. Red Garden – Call me tacky – or just a foreigner – but Red Garden hawker market takes the cake for a little local entertainment. I have friends who would whack me for mentioning the food, which is true and right – it is ok, but that’s not why you go there. On any night of the week you can find a live performance, which rests on the questionable side of entertainment, but under the green, purple and yellow fairy lights strewn among the rafters it all takes on a whimsy, 1950s-beachfront style that could not be more authentic if it came naturally. Botanical Gardens – Hiking is a big part of Penang’s way of life. Sport – football, cricket, rugby etc. – is thin on the ground for people who want to dip in and out, so exploring the jungle is the next most accessible form of exercise. The Botanical Gardens, in addition to being a very pretty example of manicured grounds, is a jump off point for trails that snake up to Penang Hill, over the rise of Bukit Olivia to Tanjung Bungah and even as far as the National Park. Lining Waterfall Road leading to the grounds are a host of juice stations and snack shacks that are a godsend after an hour or two of calf-burning hiking. Greenhouse – After many a night out in Penang, I can say that whispers inevitably turn into shouts for ‘Greenhouse’. It is the first place I tried Bak Kut Teh and the only place I can truly enjoy it since – juicier pork meat, more fragrant dark soup and crunchier char kueh than anywhere else. If you are not eating in a booze-fuelled frenzy, the daytime hawker market next door (also Greenhouse, but with a red sign) is filled with tasty local fare. Sup Hameed – On Penang Road, conveniently located not even 100 metres from Upper Penang Road, Sup Hameed serves a 24-hour staple of mutton in a green, watery curry and served with thick white loaf bread. This ‘torpedo soup’ – like Bak Kut Teh, it comes with nasty bits, and with a name like ‘torpedo’ you can probably guess what they are – is a heavenly concoction well worth a try over, and over, again. What the Duck – I have heard of restaurants limiting their drinks menu but limiting the cuisine takes balls and confidence. What the Duck’s owner and head chef has plenty of both. The menu is devised – with a few exceptions for the foolish – completely of duck dishes from, my favourite, the Summer Plum Stew Duck to the chocolate brownie with salted duck egg ice cream. The Bangladeshi Place on Jalan Gurdwara – One of the places featured in Malaysia’s Canvas, in addition to a few mentioned above, is the nasi kandar café a couple of doors down from the Hin Bus Depot – what I call ‘the Bangladeshi place’. It is usually in the evening when you will find it filling up with small men talking in a strange Indian dialect, communing after a long day’s work, below a television permanently stuck on a news channel faintly delivered in the same accent. This is a Bangladeshi hangout and the food is no different. Restaurant Tepi Sungai – To the south of Butterworth, on the coast due west of Taiping is the small village of Kuala Sepetang. Tepi Sungai has one road leading in and out but two very distinguishable features. The first is an area of traditional coal making factories; huge, rounded, conical domes housing fires and woodpiles. The other, at the end of the road and looking out over the Sangaa Besar River, is the restaurant. Some of my fondest memories of ‘the old days’ were driving out there to order deep fried soft-shell crabs overlooking a liquid gold bend in the river at sunset. Ko Muk, Thailand – For the adventurous and road loving, the drive up to Chao Mai National Park – about 200 kilometers north-west from Hat Yai – gets you to the jump off point for Ko Muk. Being part of the national park means the island is pristine and a trip will consist of a survivalist existence; spear fishing during the day and barbecuing your catch for dinner at night. As an additional excursion, you can kayak to the Emerald Cave, which, at low tide, reveals the entrance to a fully enclosed beach previously used as a smugglers den. And that’s about it… but a lack of choice in this day and age is refreshingly liberating. For more suggestions by Penang local writers, check our interview with Adeline Chua.